The Indian started the match on the front foot, but the Estonian was in no mood to let his opponent run away. The first game was a roller coaster ride, the scores got levelled on various occasions. 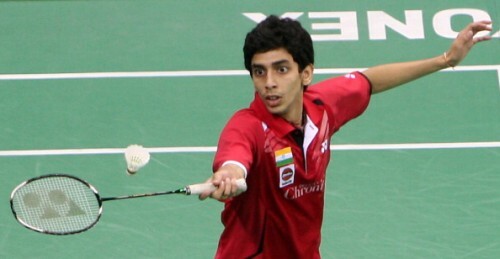 Though, Gurusaidutt kept his composure and took a somewhat healthy lead of 11-16. The Estonian came back hard and led 18-17 before the former struck again and clinched the game 19-21. The second game saw a similar tale unfold, as both players were neck and neck till 9-9. After which, Raul took off and increased his lead to 13-9, then he didn’t look back. He raced on to win the game 21-14. The third and final game was also closely contested duel. The Indian came from 4-1 down to level the game at 6-6. The game continued in the same fashion and it was all nip and tuck till Raul upped the ante and won the game 21-18. The match was up for grabs when the scores were locked at 15-15, but Gurusaidutt failed to match his opponent’s mastery and went down fighting.